Research into the critters living inside your gut, known as your gut microbiome, is currently super-hot right now. Magazines and newspapers are constantly featuring articles about the Gut Brain Connection and gut bacteria being linked to obesity, immunity, inflammation, depression and allergy. Last month in Love Your Guts part 1 we explored your gut microbiome and how these microbes are influenced not just by food and medication but also by exercise, sunlight and being in nature! We also looked at the changing understanding of how probiotics actually work and some of the superstar probiotic species. Read part one. While this is all very exciting and interesting, what does it really mean for YOU? How can you and your family benefit from knowing about your microbiome and the host of microorganism’s co habiting your body? When you think about healthy food and healthy eating you’re probably thinking about how to maximise nutrition to the cells of your body rather than the creepy crawly residents of your gut. 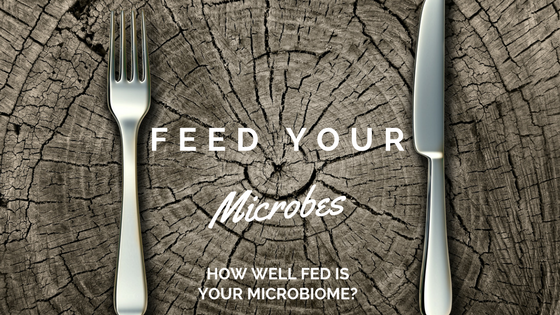 How often do you stop to think about how well fed your microbial passengers are? Do you even know what they eat? Thankfully feeding your microbes well is really quite easy and you DON’T need to visit any specialist stores to buy them their favourite expensive tasty snacks. Their food of choice is plain and simple fibre. Some fibres are better than others, like that found in plant based foods such as fruit, vegetables, nuts, seeds, oats, linseeds and chia seeds. In fact the only reason that we need to eat fibre is to feed up the good species of bacteria in your large intestine. Your microbes ferment this fibre and produce some wonderful by-products that benefit the health of your gut and your body. These by-products of fibre fermentation include butyrate and other short chain fatty acids. These short chain fatty acids help to fuel the cells of your digestive tract and other species of good bacteria, they’re also anti-inflammatory, help to stop food cravings by acting as an energy source to your cells between meals and giving you a sense of satiety. Eating a low fibre diet starves your microbiota and since a bug’s gotta eat they’ll quite happily turn to chomping on the highly protective mucous barrier that lines your digestive tract and create a raft of problems as a result. Improvements in your microbiome can be seen within a week of adopting healthier eating habits so you don’t have to wait long to start reaping the benefits. In fact researchers begin to see improvements in the microbiome after just 24 hours of eating healthy foods! The same holds true for eating processed foods. A week’s binge on junk food is all it takes to see noticeably negative changes to your gut microbes and your health. Your gut microbiome is not static. It can be changed for the better or worse. Be in charge of your health and change it for the better – it’s not hard and the benefits are worth it. Hopefully by now you’re pretty clear about how important it is to have a healthy symbiotic relationship with the populations of beneficial bacteria living inside your gut. But what happens when the bad bugs take over and your once lush and beautiful microbial garden turns to a weed infested wasteland? There are a few different types of bad bugs that can set up home in your gut. When bacteria such as E coli, Campylobacter and Salmonella are present, the resulting diarrhoea makes it quite obvious that all is not well. There are other sneakier parasites that are very good at evading your immune system and hiding out in your gut causing a myriad of health problems that can affect every organ and body system. Some of these other bad bugs include normal neutral microbial residents that have overgrown their welcome. There are many bacteria that live in your microbiome that are normal residents and don’t really offer much benefit but are also not harmful. Under certain situations, these bacteria can switch from neutral to nasty with too many of them crowding out the more beneficial good bacteria and producing harmful chemicals and toxins. These chemicals can directly damage your digestive system and can also be absorbed into your body and place enormous stress upon your liver, detoxification and your immune system. The most potent of these bacterial toxins is called lipopolysaccharide or LPS, it’s also known as endotoxin (meaning toxin from within). LPS is highly inflammatory and can provoke a massive immune reaction, it’s also linked to autoimmune disease and even obesity. A good gut detox that includes antimicrobial herbs and foods is one of the most effective ways to help reset your gut and remove parasites and other unwanted microbial squatters. An annual gut detox is one of the best ways to press the re-set switch on your gut microbiome and your health and wellbeing. Having an overgrowth of bad bugs crowding out your microbiome increases the toxic load that your liver and immune system have to deal with on a daily basis. 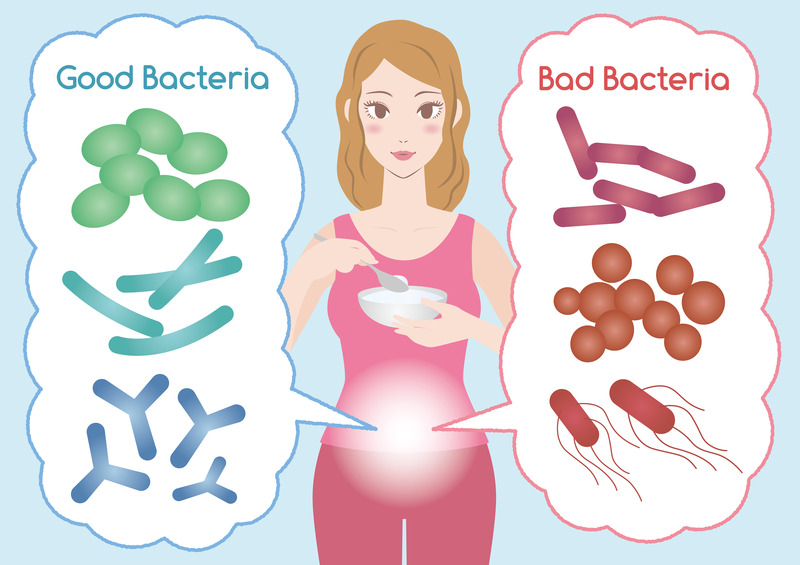 You could be eating the cleanest, healthiest, 100% organic diet and lifestyle but suffering symptoms of toxicity due to bacterial overgrowth in your gut and their toxic chemicals (remember, endotoxin means toxins from within). A good gut detox helps to weed out parasites and unwanted microbes from your microbiome. We use and recommend the Metagenics Integrated Detox, a practitioner only prescription detox that can be tailored to suit your needs and your health. From a quick 2 week cleanse through to a 6 week total gut overhaul, it’s easy to follow and produces lasting results. One of the most common comments we hear from clients who have completed a gut detox is their friends and family asking them if they’re using a new bronzer or where they’ve been on holidays due to their glowing skin and clear eyes! Ask us about our Practitioner Prescribed Integrated Detox packages and how you can benefit from a gut spring clean today. Call us on 02 9130 7064 or send us an email.